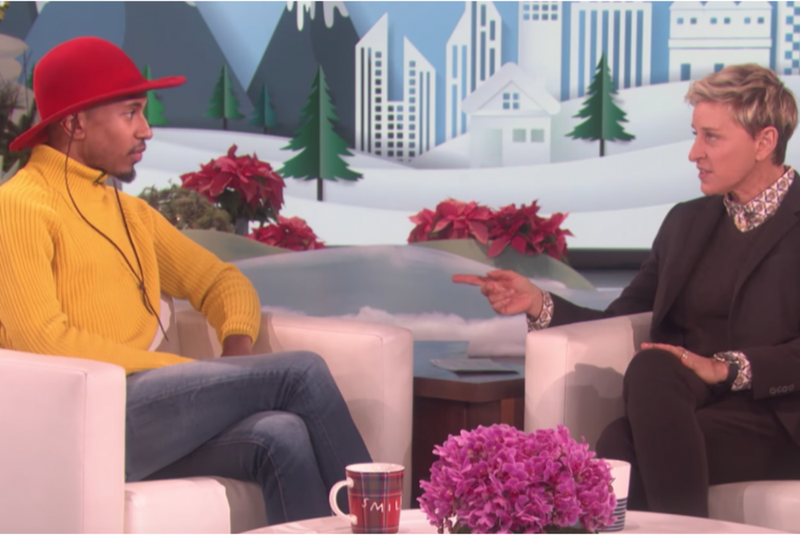 When Ellen DeGeneres offered Kalen Allen a job during a taping of her talk show, he was too stunned to know how to react. Kalen Allen, a senior theater and film and media arts major, appeared on “Ellen” on Tuesday to discuss his series of comedic reaction videos, “Kalen Reacts,” where he films himself reacting to recipe videos produced by media outlets like BuzzFeed. DeGeneres invited him on the show after playing one of his videos on air in December. At the end of their conversation, DeGeneres offered Allen a job to create reaction videos for her show. After hearing her proposal, Allen said he cancelled his planned auditions for graduate school and booked a flight for Los Angeles next week. He will then start producing content for “Ellen” while also completing his remaining classes through the School of Theater, Film and Media Arts’ Los Angeles Study Away program. He will come back in May for his graduation. Because he’s been making reaction videos for less than two months, Allen said he feels inspired by DeGeneres wanting to “take a chance” on him.